This adapter is designed to slot on top of a stove with a 125mm (5") outlet. 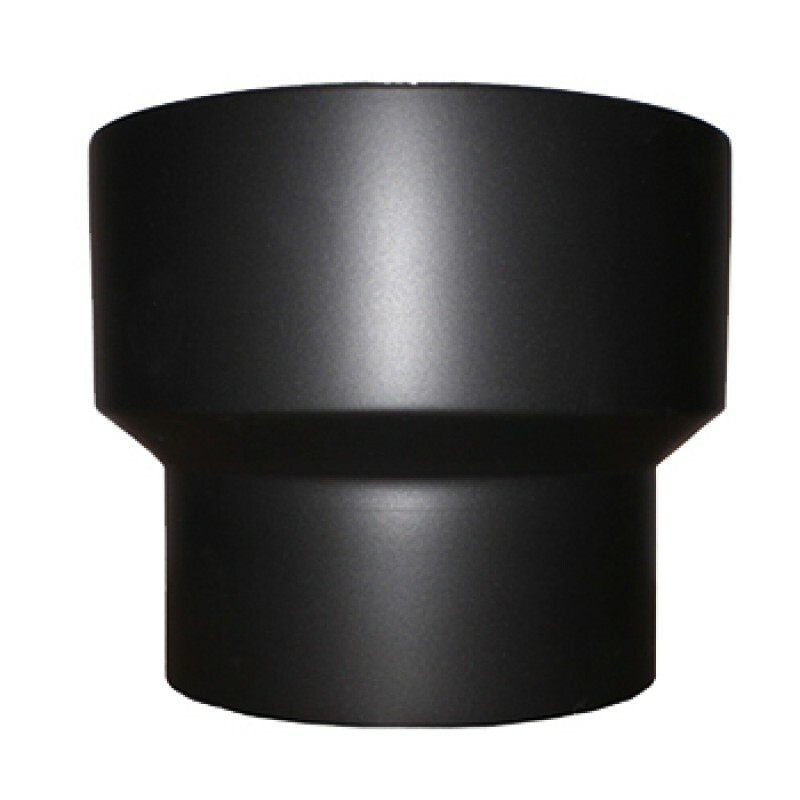 A 150mm (6") flue is designed to drop inside this adapter, connecting the two together. Perfect for people who are swapping a stove with a 150mm outlet to a stove with a 125mm outlet and want to keep the current flue. Please note that this is the price for delivery of 125mm (5") to 150mm (6") Black Vitreous Adapter only. The final amount might change depending on the contents of your shopping bag when you check out.